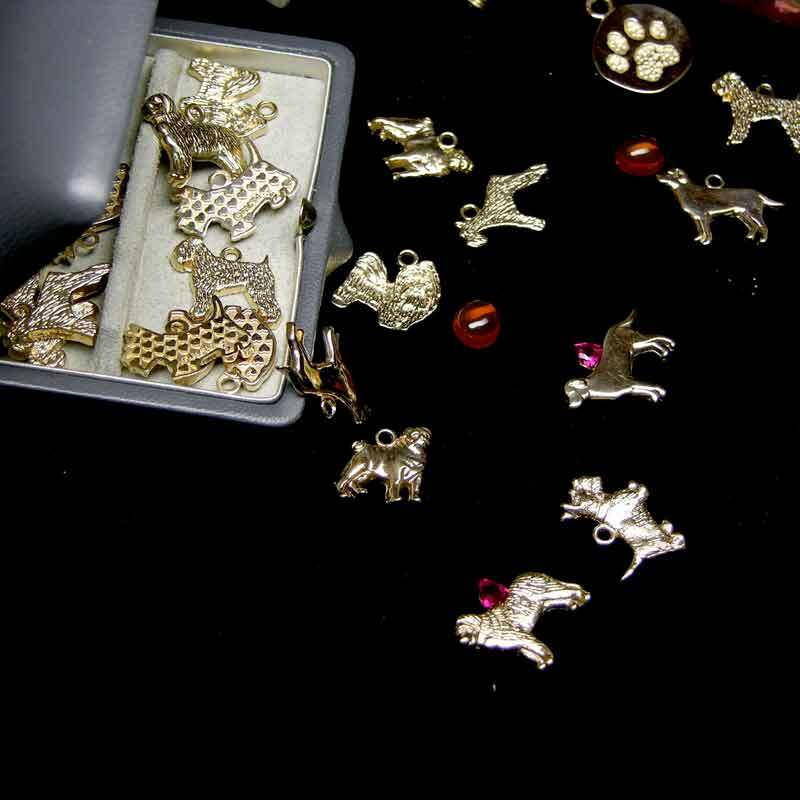 Gold dog charms set with stones for eyes has long been a favorite. Any charm FineARF makes in sterling silver can be made in gold: either 14k or 18k. We make everything in Manhattan so the timing is quick and quality is superb. If you'd like information about a gold charm please contact us. We'll respond with a quick reply. We can give you pricing given the size and options that you prefer.